If you’re in New Mexico and find that your funny bone needs a tickle, a night of comedy will do the trick. These venues showcase a wide-range of talent, from aspiring comic to well-established comedian. An evening of light-hearted entertainment designed just to make you laugh is serious fun. Thursday night is laugh night at the casino where guests can guffaw with some of the funniest nationally-touring comics in the country. This first-class venue has an awesome sound system so everyone in the house can hear the jokes. Get there early: Seating is first-come, first-served. Good food, handcrafted cocktails and quality amenities makes this a terrific nigh out. If you go often, be sure to ask for a Lots of Laughs card for special deals and announcements. Located in the spectacular Sacramento Mountains in south central New Mexico, this ca-sino draws some of the top professional comics. Check their calendar to see what’s coming! In addition to showing an eclectic assortment of unique films, this independent movie house also hosts frequent comedy nights. It draws local and touring comics. The even-ing’s format generally presents a headliner and a couple of featured comics, all overseen by a host, quite often also a comedian, for a night of chuckling that lasts about an hour-and-a-half. Cost ranges between $7 and $10. Attendees must be 18 years or older. 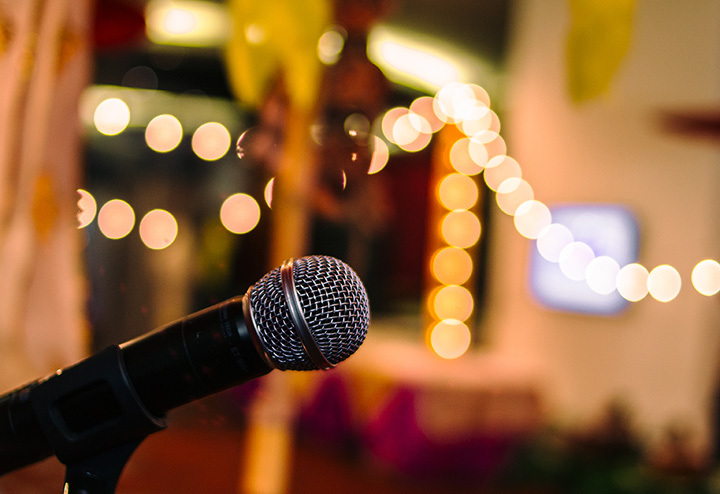 Once a year, the town of Red River hosts a gathering of aspiring comedians to compete in its annual open mic comedy competition. Sponsored by the Red River Chamber of Commerce, the outcome of this contest showcases 10 of the best applicants in a weekend of performances. Public tickets to see this slice of comedic glory are generally $10. Three days of laugh-out-loud fun—one weekend a year in the Sangre de Cristo Mountains. Although this is not just a comedy club, it does draw top touring comedians to its 170-square-foot stage. With three sound systems, great acoustics and on-site ticketing services a performance here is an exceptional experience for both the audience and performer. It’s locally-owned and operated and is committed to hosting community minded events. This restored historic theatre was built in 1926 and is now listed on the National Register of Historic Places. It has a calendar filled with a lively assortment of productions, including performances by touring comedy troupes and instructive workshops on how to make people laugh. Owned by the city and operated by the Dona Ana Arts Council, this performing arts center makes going to the theater an engaging activity. View more New Mexico Comedy Clubs.